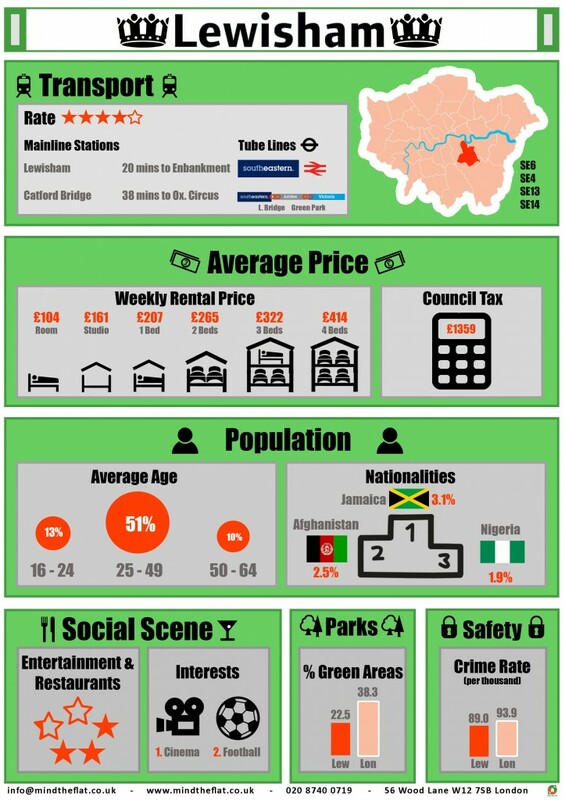 Known for being one of the youngest and most ethnically diverse areas in UK, with a large Afro-Caribbean Community, it is also one of the most affordable boroughs of London. It benefits from open spaces of Blackhealth and Hithergreen nature serve as well as recent developments of its arts scene and sporting facilities. The Lewisham Hospital is famous for being specialized in maternity and pediatrics. Horniman Museum, surrounded by attractive gardens, has something for everyone, and is a great alternative to the Natural History Museum. Sign up with Mind the Flat and find like-minded flatmates willing to share a property in this young and affordable area!